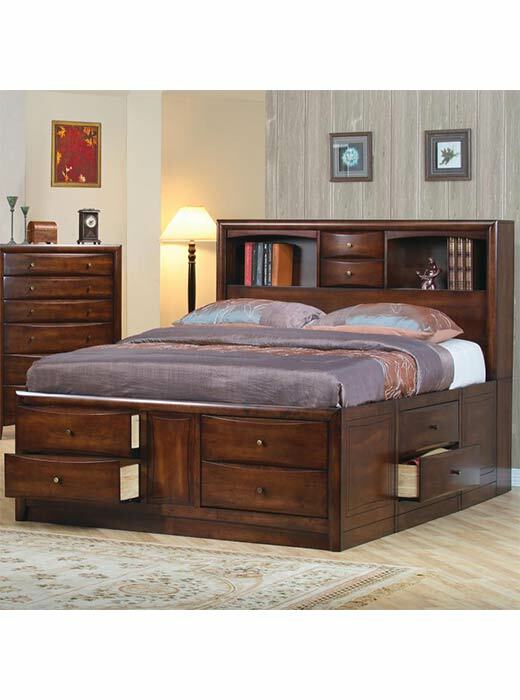 This elegant contemporary bed will be a stylish and functional addition to your master bedroom. The piece features clean lines, and spacious storage. A high bookcase headboard has two small felt lined drawers to hide clutter and precious items, and two open shelves that are perfect for books and decorative items. 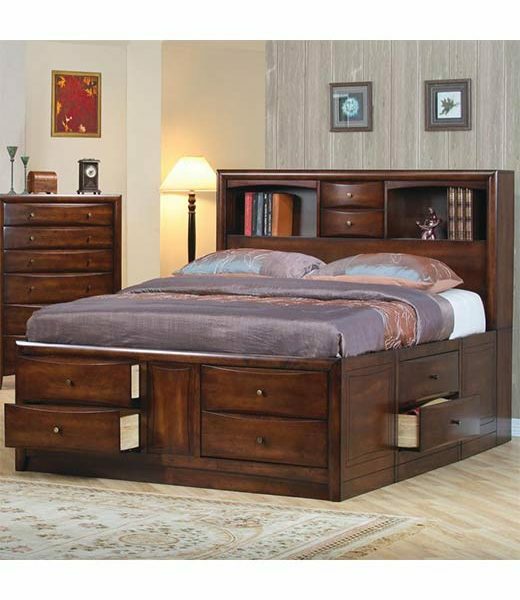 This elegant contemporary bed will be a stylish and functional addition to your master bedroom. The piece features clean lines, and spacious storage. A high bookcase headboard has two small felt lined drawers to hide clutter and precious items, and two open shelves that are perfect for books and decorative items. Two drawers below each side of the bed, and four drawers in the footboard offer lots of spacious storage for clothing and linens. Chambered drawer fronts and simple metal hardware complete this modern look. This bed is available in deep Cappuccino and Warm Brown finishes to complement your decor, and comes in queen, king, and California king sizes to fit your space.